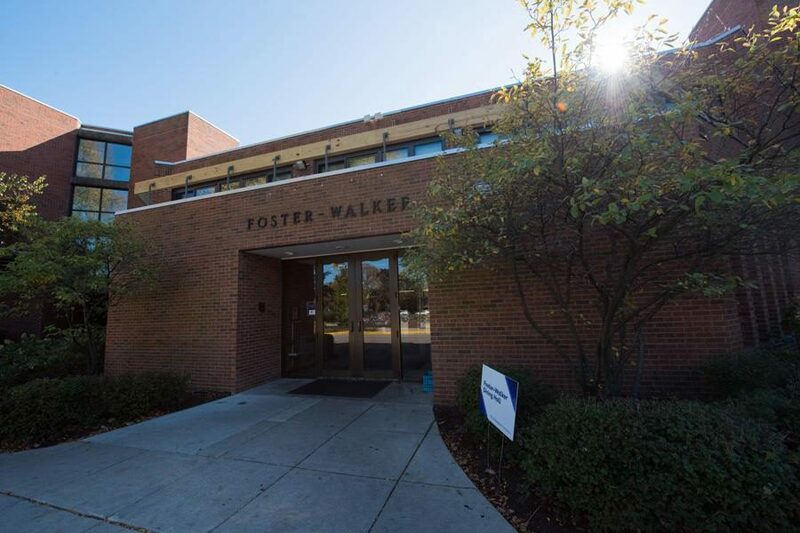 Foster-Walker Complex. The new format of Community Dialogues will be implemented on Feb. 27 in Foster-Walker Complex. Associated Student Government and Quest+ submitted recommendations to Northwestern administrators to use a new format for Community Dialogues, an ASG press release announced Friday. Community Dialogues were created during the 2015-2016 academic year in response to student demands for open meetings with faculty. Since their creation, Community Dialogues are held each quarter in a town hall format, where students can engage directly with NU administrators. The new format will be implemented at the Winter Quarter Community Dialogue on Feb. 27 in the Foster-Walker Complex. Agneska Bloch, the ASG vice president for academics, and Madisen Hursey, Quest+ co-president, wrote the new recommendations in collaboration with Vice President for Student Affairs Patricia Telles-Irvin and Chief Diversity Officer Jabbar Bennett. Bloch said she decided to collaborate with Quest+ on the new format after attending the last Community Dialogue in September and feeling frustrated. The new recommendations, Bloch said, will foster more conversation with both students and University administrators. Instead of having one microphone passed around attendees, students and administrators will sit in tables organized by themed working groups with an ASG member taking notes during the meeting, Bloch said. Some of the themes include academics, campus life and climate and student activities. Bloch added that she wanted ASG to partner with Quest+ so that the recommendations better allowed underrepresented students to voice their opinions. She said there will also be a debrief at the end of each dialogue so attendees can talk about the topics discussed in the focus groups. Hursey said she’s attended the Community Dialogues since their creation and that they’ve varied in structure over the years. She said that a more open format where students can bring up any issue to be discussed, was the most effective way to organize the Community Dialogues. “People were not always able to engage meaningfully with each other because they were shouting into a microphone across the room and then there was an audience, which made some students feel uncomfortable because they weren’t always willing to push back which they might do in a smaller setting,” Hursey said. Bloch said she was “excited” to see more of a lasting relationship between students and administrators out of Community Dialogues with the new recommendations moving forward. She added that she thinks they will bring “real dialogue and conversation” to the space. Hursey said both Telles-Irvin and Bennett were open to feedback on the Community Dialogues that led to the new recommendations. “They wanted to know the logistics and how we forsaw them being implemented to make sure that they were doing it to the best of their ability and actually taking our advice and directly translating it rather than having a meeting and running off and doing it by themselves,” Hersey said. She added that it’s a “big deal” to have spaces like the Community Dialogues where administrators can interact with students who wouldn’t necessarily be heard because they’re not in a leadership position.